Nubbins can be awesome. There are certain colours and designs that look best on me with short nails (see: yellows and cartoon nails) and so sometimes I don't mind rockin my nubs for a few weeks until they grow back out to my normal length. But this week when they broke it brought nothing but annoyance. I had so many designs in mind I was planning to try on my lovely nails! 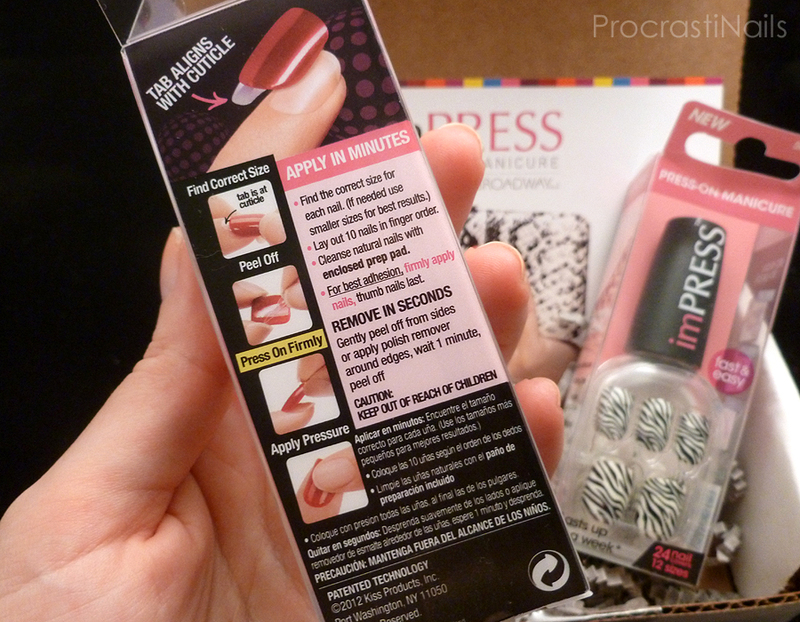 Cue sadness, but then cue (like a beacon of light) an email from Influenster saying I had been chosen to receive their Canadian VoxBox with imPRESS press-on nails! Ahhhhh! Perfect timing. :) I tried them on and gave them a wear test for a day, so let's see how they held up! Broadway Nails imPRESS Press-On Manicure nails are a way to get a nail art look without the time or money it would cost to do it yourself or to go to a salon. I've seen these products in the store, but without any idea about how well they work or wear it didn't seem worth it to me for the price tag ($10.99 for patterns and $8.99 for colours - depending where you buy them). I'm happy they decided to team up with Influenster in Canada because it gave me the opportunity to try this product I otherwise probably wouldn't have picked up. 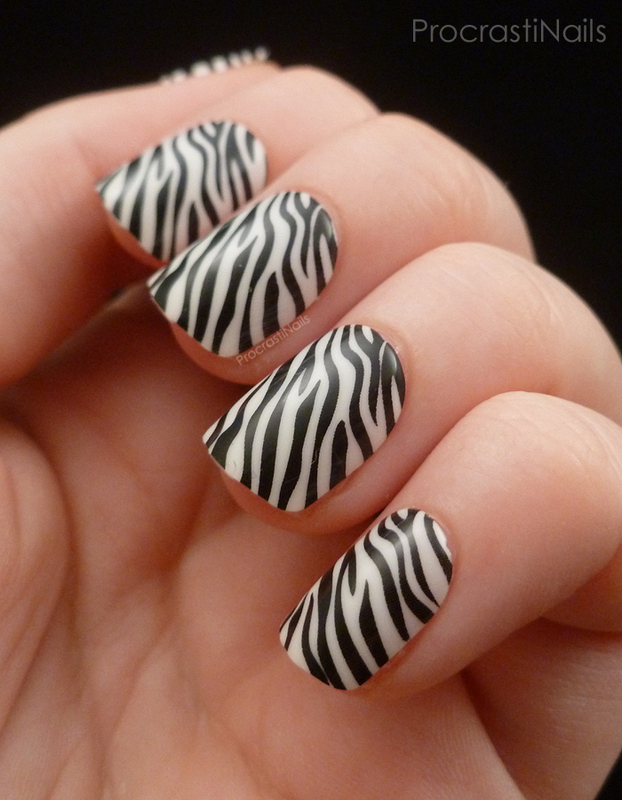 They sent me two designs: Over the Moon (a neon pink/purple leopard print) and Dancing Queen (a black and white zebra print). Find the correct size for each nail. (If needed use smaller sizes for best results.) There are 24 nail covers provided in 12 different sizes! Lay out 10 nails in finger order. Line the tab up with your cuticle, peel off covering and press on firmly. Apply thumb nail last. To remove gently peel off from sides or apply polish remover around edges, wait one minute and peel off. 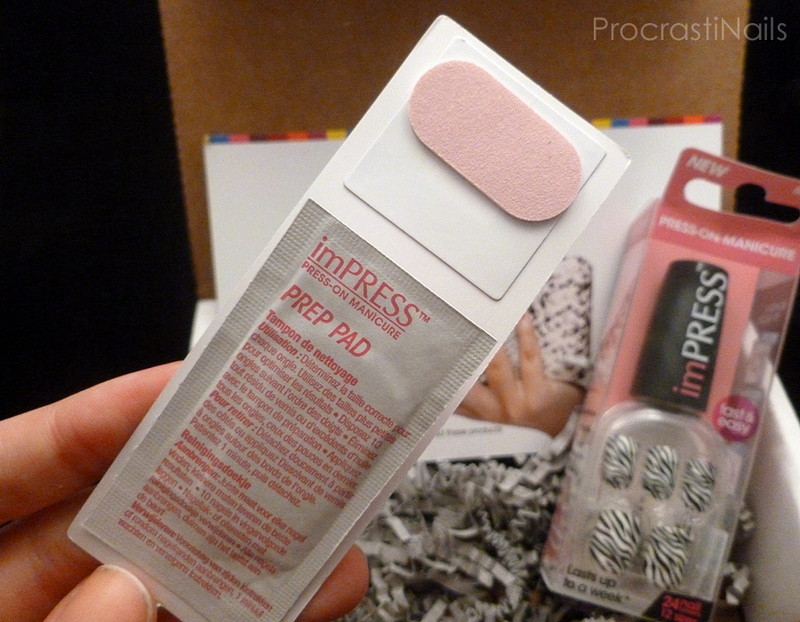 The package for Over the Moon came with the prep pad (from the smell it's a pad saturated with alcohol to clean off the surface of your nail) as well as a small buffer, but Dancing Queen didn't have this buffer. I wonder if that's because one product is older than the other, or if the Over the Moon design is meant to be buffed down to a matte finish (which is a technique Broadway Nails suggests on their website). I decided to follow the instructions to the letter and give the nails a try to see how long they lasted. These were really easy to apply, though after finding the ~right sizes for one hand I didn't have enough of that same size to finish the other hand so my Cinderella hand is living up to it's name and looks like it's wearing clothes it's grown out of a bit. Oh well. 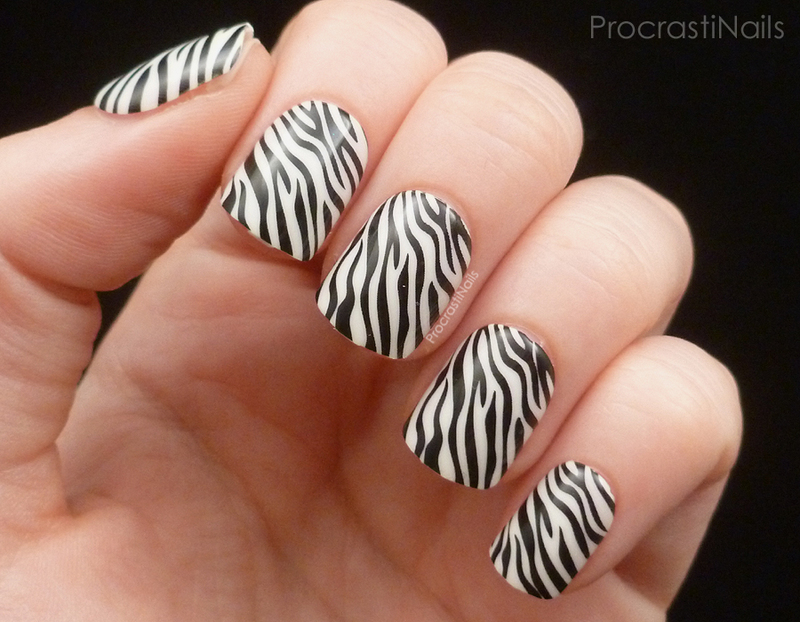 When I first put these on my nails felt really.... Heavy. I remember when I first started wearing nail polish my nails would feel heavy to me, too. I guess it's just that consciousness of having something on top of your nails. Anyway, the feeling went down the longer I wore them. After a couple of hours I barely noticed them at all! I like the idea of how easy these were to put on and I love the array of designs that are available, but my one complaint would be that they don't fit my nails quite well enough (as you can see in the above picture and on my thumb two pictures up). I have very curved nails so this isn't a new problem for me when it comes to things going over my nails (hello magnetic polishes and nail wraps). But as you can see there's quite a bit of uncovered nail on the side, and the nail itself lifts up quite a bit at the tip (even after firmly pressing for a few minutes as soon as I applied them). My natural nails also had to be filed as short as they could go. I hear there's a medium length nail line as well, so those might be better suited for me. 2 hours into wear: These are holding up pretty well. I had to write on a piece of paper which was a challenge at first, but I adapted. 6 hours into wear: I have used these for washing the dishes (with gloves), as well as opening a box. Opening the box was almost impossible because I couldn't get a good grasp on the edge but didn't want to dig in my nail (because it would likely catch on the space between the artificial nail and my real nail). They're starting to feel pretty natural, though I keep accidentally scratching myself with them. I think I should have buffed off the edges a bit. 8 hours into wear: I took a bath with these on and made sure to submerge my hands in the water for periods of time. Still looking and wearing the exact same! 17 hours into wear: Woke up from sleeping with these all still on! Only a wee bit of noticeable lifting at the tip and at the sides of the tip, I'm scratching myself more than I was yesterday. After 20 hours I took these off, but I have no doubt they would last a few days in the right circumstances. I tried both removal methods, but honestly I'd suggest just peeling them off. It felt a bit uncomfortable but it was fairly quick. Also for those wondering no these aren't reusable, when you peel them off you mangle them a bit and they still have the glue stuck on. Would I buy these on my own again? Probably not, mainly since they didn't fit my nail shape. Great idea though and I'd say for the length of time you could wear them they could be worth it if they fit you. Great review and those are some fun designs! I've tried these in the past and I thought they were okay. They weren't the most comfortable things to wear in my opinion. I feel a few days in they'll start to get pretty uncomfortable, but I stopped noticing them when I was wearing them (until I would scratch myself!). And yeah, the designs are nice. :) Saves me a lot of time! I saw realy update procrastinails product.I think it's samilar brand procrastinails,if you have more time please check my samilar brand lifting tank tops.